Tropical Storm Hermine: Are You Ready? Girl Scouts Are! Less than a month after devastating flooding in Baton Rouge, Hermine is making its way to the East Coast, and you guessed it—we’re prepared. 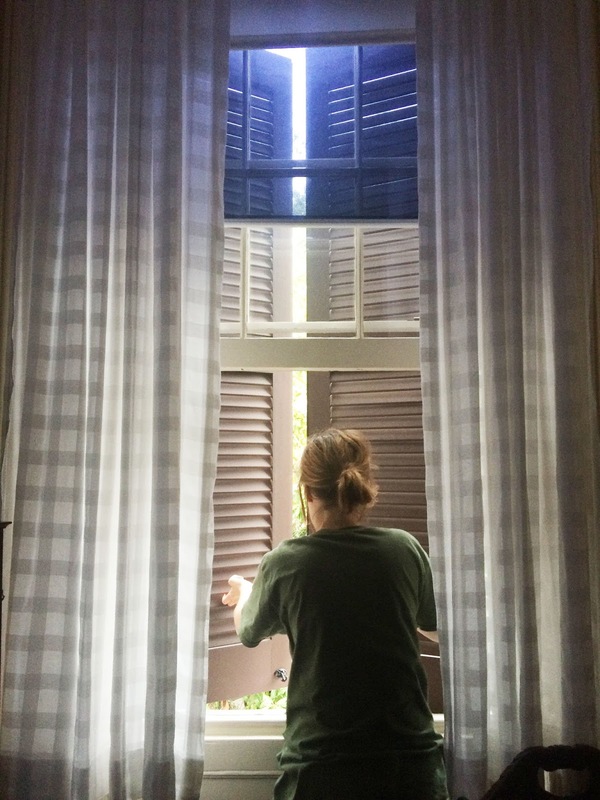 Girl Scouts at the birthplace of Juliette Gordon Low have been busy battening down the hatches, making sure they have everything they need to weather the storm. From closing the shutters and towel-lining the doors, to moving items up off the floor where they could get wet, we’re ready to ride it out. Check your supplies before a storm is expected to hit. Make sure you have everything you need (water, food, batteries, flashlights, etc. ), and stock up on anything that’s missing. Make sure to include a few of your kids’ favorite nonperishable snacks, like granola bars and fruit snacks. Check the yard! Loose branches, bicycles, and lawn furniture can easily be picked up in heavy winds. Tie them down or move them indoors to keep your neighborhood safe. Make a plan and make sure everyone in your household knows it by heart. This should include a safe meeting place in case you have to evacuate quickly and family members become separated. Find out what your community is doing in the event of an evacuation so you know where to go. Ride it out! Stay indoors and use this as an opportunity for quality family time. Bring out the board games, share silly stories, and get creative with art supplies. Smaller children might be nervous or frightened by the storm (especially if they see or hear hyped-up news coverage), so try to keep things as normal—and as fun—as you can. We’re pulling for everyone in the path of the storm. Learn more about disaster preparedness from the American Red Cross, the Department of Homeland Security, and of course- Girl Scouts.